There was no place better to view the original James Bond 007 movies than the Yucca Theater with it's mysterious and romantic Assyrian decor! Any kid who grew up in Midland has special memories of the Yucca. 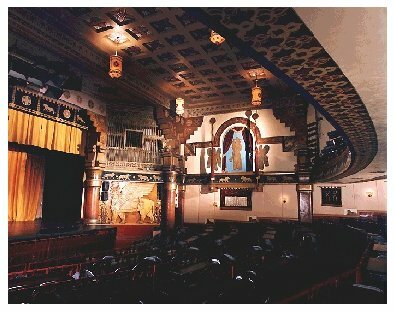 Built in 1929 and a first run movie theater on thru the 1970's, the Yucca is now home to the community theaters melodramatic "Summer Mummers".